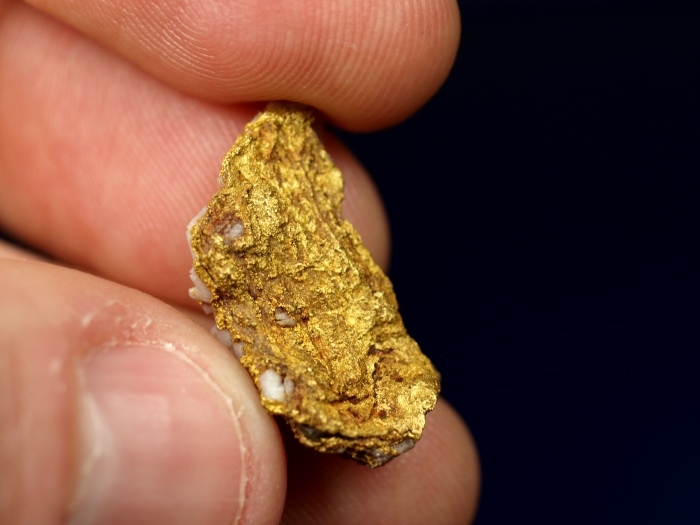 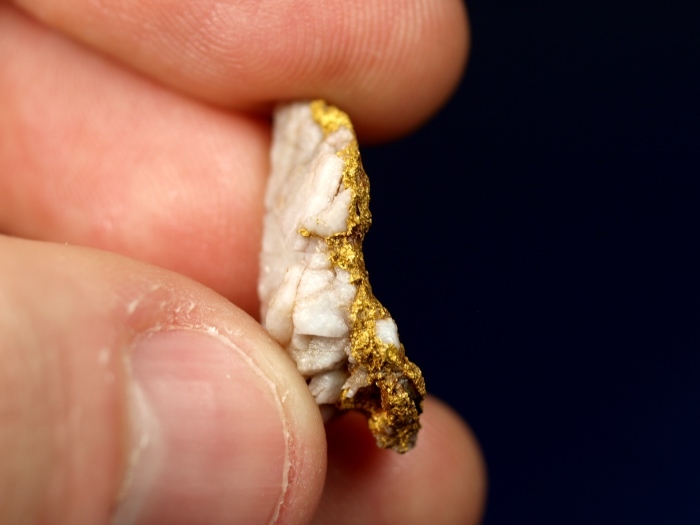 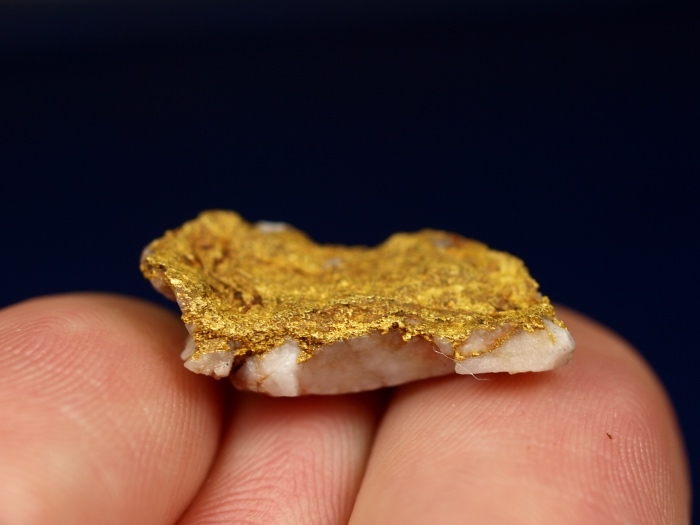 This fascinating piece of raw gold in quartz was found last year by a prospector using a metal detector in a remote part of Siskiyou County, California. 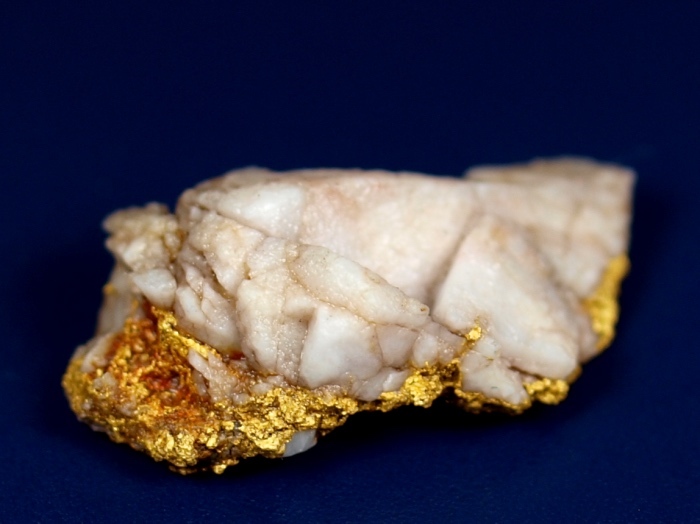 Its amazing how one side of this piece has a solid "sheet" of gold covering the quartz. 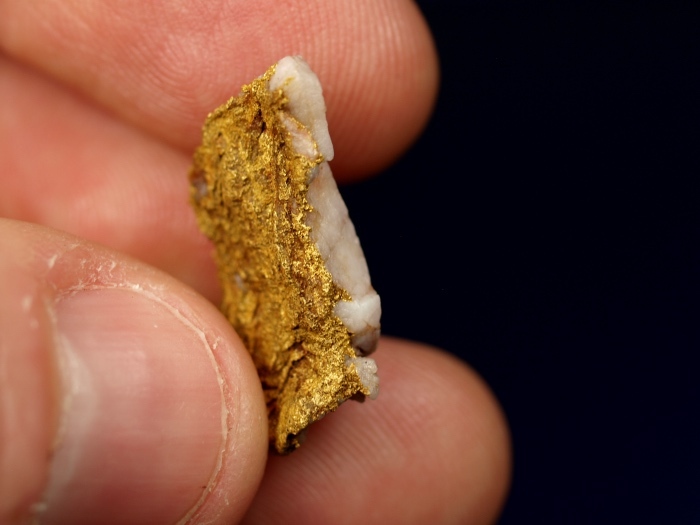 Truly beautiful and interesting piece of raw gold.